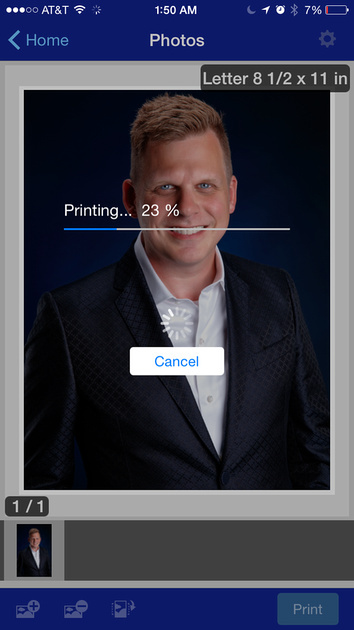 I like to use a printer for a while before rendering an opinion because most photo printers can shine with just basic testing, but it is the test of time that surfaces issues with print heads clogging and network communication problems. Fortunately this printer has passed with flying colors as I’ve never once had any networking problems nor have I had a single print head issue even after not using it for seven weeks in very dry weather. In part one of my review I sang the praises of the ease of setup, but over time I really fell in love with it even more. 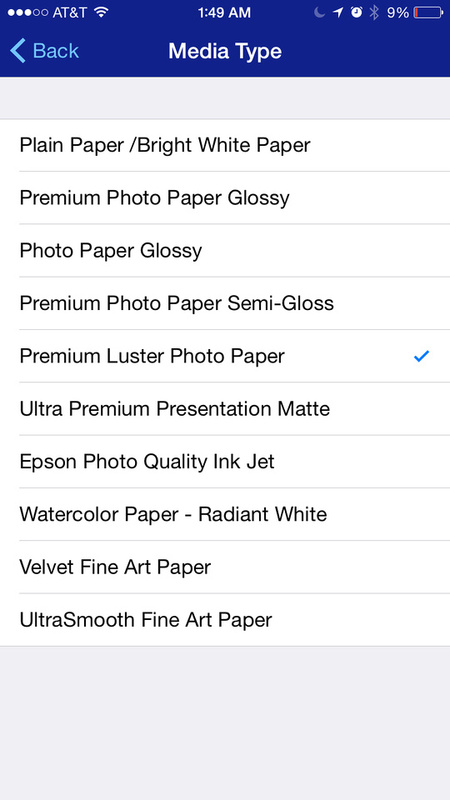 I loved using the P600 as my everyday printer with plain paper jobs, as well as doing simple 4x6 prints for my wife. However, when I needed a high quality print I found myself not even bothering to fire up my 3880 and trusting the P600 for the job instead. What’s more, it handled roll prints very well, so I even found myself doing small Exhibition Canvas and banner jobs with it. 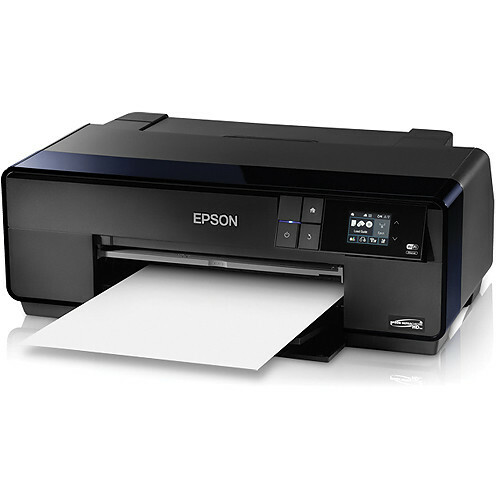 My contact at Epson tells me this printer is very similar to the Epson Stylus® Pro 3880 replacement, the Epson SureColor P800, except it has 25.9ml cartridges instead of 80ml. Those are tall words as the P800 is replacing a legendary model, but everything I’ve seen from the P600 except for the quality of some of its ICC profiles (which is fixable) indicates that this printer is certainly in the same league. Yes, my 3880 had better ICC profiles which helped it to outperform the P600, but the prints I got were all excellent and very close. As a result, I didn’t bother to compare the prints to the R3000 and instead put it up against the 3880 instead. Read more to see how it did! 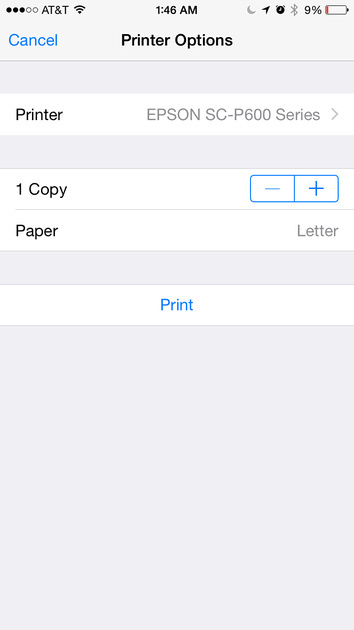 Apple AirPrint on iOS 8.4 worked without any hassle but the results were unimpressive due to lack of options, and the color wasn’t as accurate and vibrant as the Epson iPrint app. 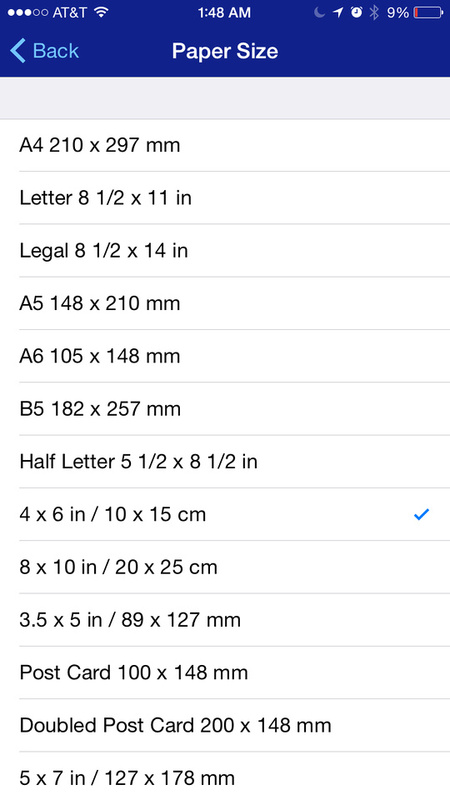 You must preconfigure your printer via the touch LCD with the correct paper type and size but AirPrint loved to send print jobs as 4x6 on letter paper in my limited testing. When I printed on Velvet Fine Art matte paper, the printer driver forced me to use the manual front loading tray. Fortunately, printing via the front manual load tray was very easy and worked brilliantly. I did have to wait 1 minute, 34 seconds to change to matte black ink but that was over 30 seconds faster than the time it takes my 3880 so this wasn’t a problem either. The print result was darker with less tonal range than the equivalent job sent to my 3880 and printed on the same paper. I suspect this is due to the 3880 having a more finely tuned ICC profile which mirrors results I’ve seen from other papers as well. In the case of ABW the printer manages color instead of relying on an ICC Profile so the results that I got from the P600 seemed identical to what I got from the 3880. This was an absolutely stunning print with phenomenal tonal range and delicious blacks. In fact, its one of those prints that makes me wish there was a way I could show you but no electronic mechanism can do it justice compared to the results I got in real life. Simply put, if you do black and white printing, I can’t fathom how the results I got could disappoint even the most picky of print masters. The Epson SureColor P600 takes everything I loved from the R3000 and makes it better. 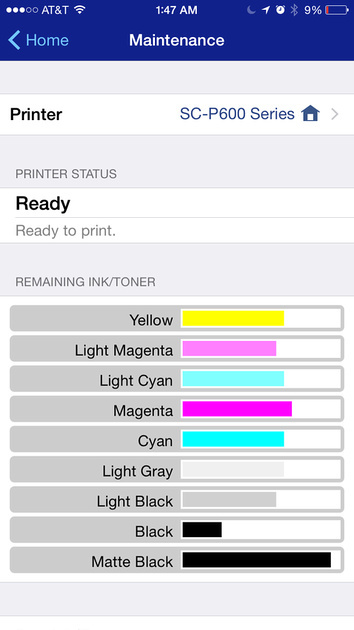 It’s a very reliable printer that makes excellent prints without any hassle – even when it sits idle for weeks on end. If you want a great photo printer for occasional fine art printing and daily print jobs, then the P600 will serve you well. If you want to do more fine art printing then it will be more cost effective to upgrade to the Epson SureColor P800 for its larger ink cartridge capacity. Overall, I loved the Epson SureColor P600 and highly recommend it. See part I of my review for more info. Click here to learn more, check for rebates/sales or order on the B&H web site. My friends at Amazon have it available here. Due to minimum advertised pricing restrictions, it is best to add it to your cart to get the latest price and deduct any mail-in rebates on top of that.